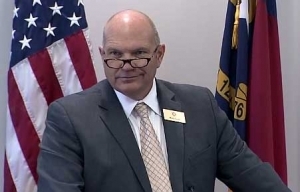 As new UNC Board of Governors Chairman Harry Smith preached unity, respect and moving away from politics at this week’s meetings of the board in Chapel Hill, members clashed over power struggles and ethical fights in the search for a new chancellor at Western Carolina University. Earlier this month, the board was expected to announce a new chancellor for WCU. Instead, Smith abruptly announced that the prime candidate had withdrawn from the process and that the board would now be examining the selection process itself. Emails obtained by Policy Watch Friday detail the struggle over the search and its unnamed final candidate. 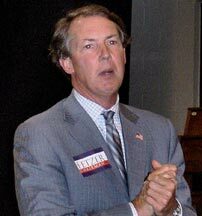 In the emails it was revealed that board member Tom Fetzer – an influential lobbyist from Wilmington, former mayor of Raleigh and past chairman of the North Carolina Republican Party – had stepped into the search process and, some members felt, overstepped his role. In an email, Fetzer revealed that after a final candidate was chosen from finalists by UNC President Margaret Spellings, he had contacted a friend at the “screening firm” QVerity, which Fetzer described as “founded and staffed by former CIA personnel.” He said he was prompted to ask that the company do a check on the candidate, whose name was redacted from the e-mails, when he heard the candidate had lectured somewhere (location redacted) of which he had never heard. Fetzer said he believed the results of that review, which he shared with board members, made him uncomfortable moving forward with the candidate. Fellow board members charged that Fetzer improperly interfered with the search process by giving the candidate’s name and information about them to an outside group. On Friday, Fetzer defended the move, saying as a board member he is charged with making sure information submitted by candidates is accurate. Fetzer contends that the outside background check turned up information that the candidate had provided inaccurate information for state employment. “All I was doing was my due diligence as required by law as a board member to make sure the information supplied on an application is true,” Fetzer said in an interview after Friday’s full board meeting. Though he would not elaborate, Fetzer said he still believes the candidate provided inaccurate information — an assertion other board members privy to confidential information on the candidate dispute. They say they believe the information provided wasn’t inaccurate, it just needed clarification. In the Friday interview Fetzer, who until last year served as a trustee at Western Carolina, also revealed he had a conversation with UNC President Margaret Spellings about being interim chancellor at the school. Two former trustees at the school asked if they could put his name forward, Fetzer said, but in a telephone conversation with Spellings he was told she had already decided on an interim. Fetzer denies he pursued the chancellor’s position himself. At a press conference after Friday’s meeting, Spellings was visibly uncomfortable when asked about Fetzer’s actions. “Having recently, not all that long ago, gone through such a process I think confidentiality is paramount with executive searches at this level and it has to be respected throughout the process,” Spellings said. Smith, who with Fetzer has repeatedly bumped heads with Spellings over the last year, gave a qualified defense of Fetzer’s actions. Asked if Fetzer’s actions and the resulting controversy will make good candidates less likely to apply for open chancellor positions — including the one still vacant at Western Carolina — Smith said he didn’t believe so. The search process should ultimately be a local one, driven by people at the campus level, Smith said. But, he said, he believes the search process needs to be revised — one of the goals he laid out in an initial speech to the board this week. The flap over the Western Carolina search, which has already cost $90,000, led to heated closed session discussions at the committee and the full board level this week. Asked if it is indicative for a rocky start for the board under its new leadership, Smith said he believes the board is in a good place but is still establishing its relationship with the chancellor and how the board will ultimately work together.